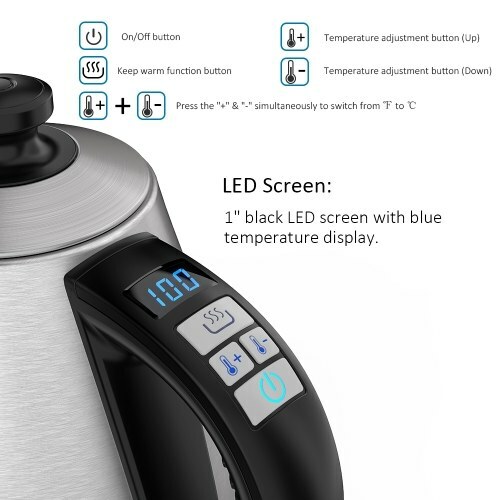 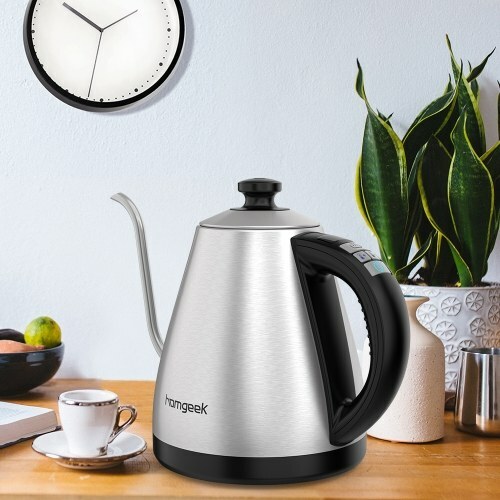 The stylish "S" shaped gooseneck Electric Kettle features of 1.2L large capacity, large power for boiling water quickly, easy push-button controls, clear LED display screen, safety boil dry protection, practical keep warm function. 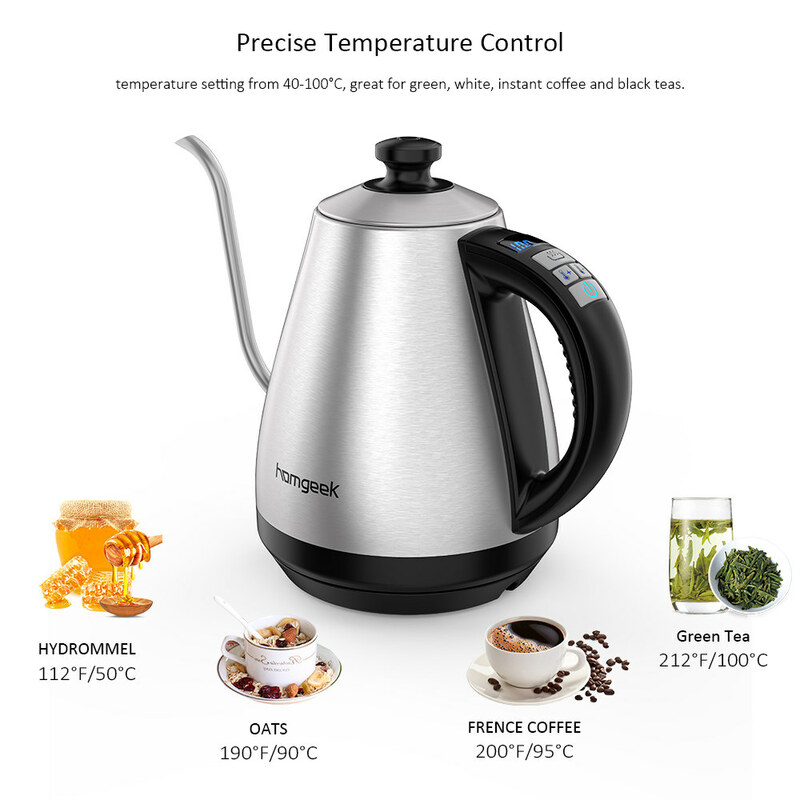 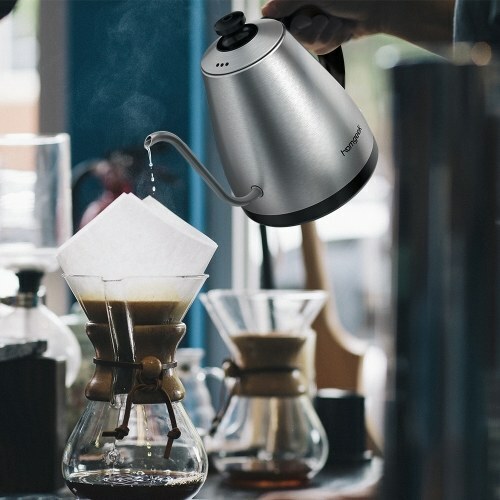 The best point is the adjustable temperature, which perfect for making tea/coffee at the right temperature: 40-60°C for baby food, 70°C for green tea and white tea, 90°C for instant coffee, and 100°C for black tea. 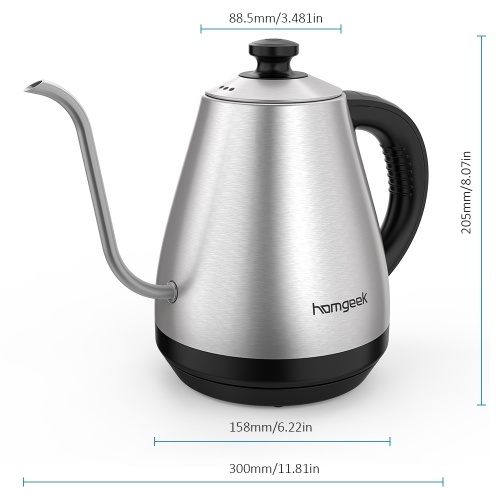 1850-2200W large power: boil water quickly, time-saving and power saving. 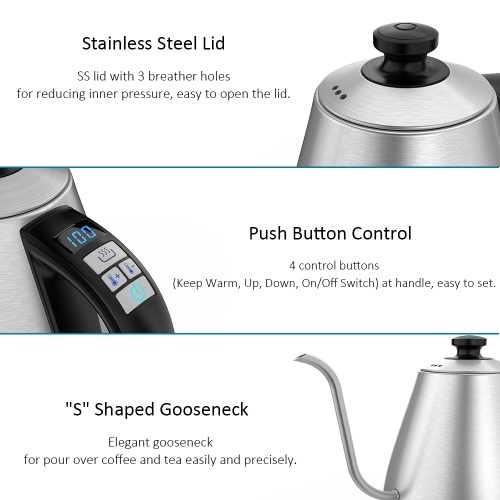 Push Button Control: 4 control buttons(Keep Warm, Up, Down, On/Off Switch) at the handle, easy to set. Boil-dry Protection: the kettle will automatically switch off when the water is less than the minimum water level, ensures the safe use. 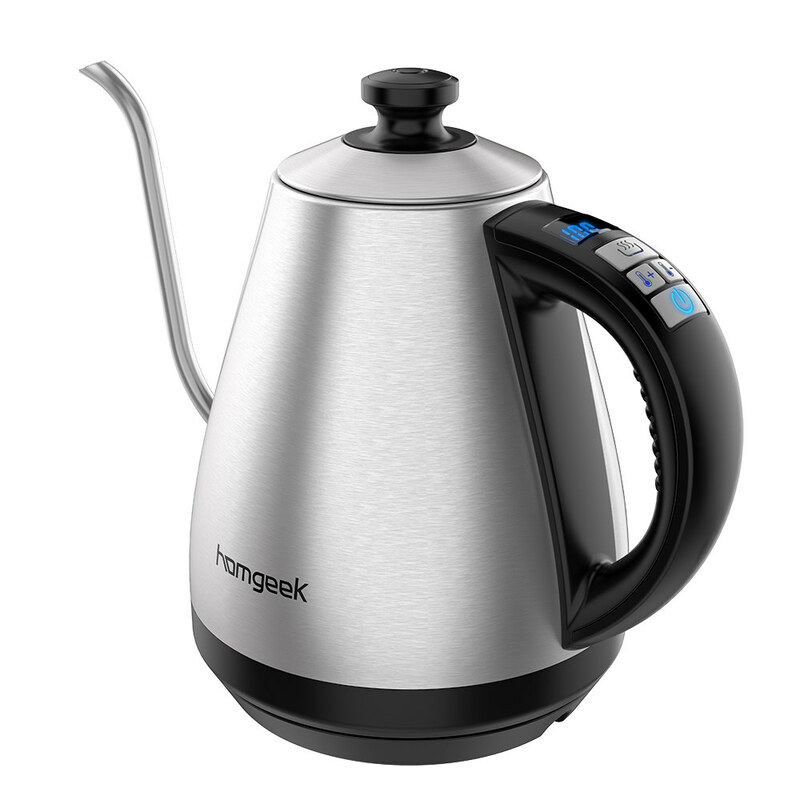 Precise Temperature Control: temperature setting from 40-100°C, great for green, white, instant coffee and black teas. 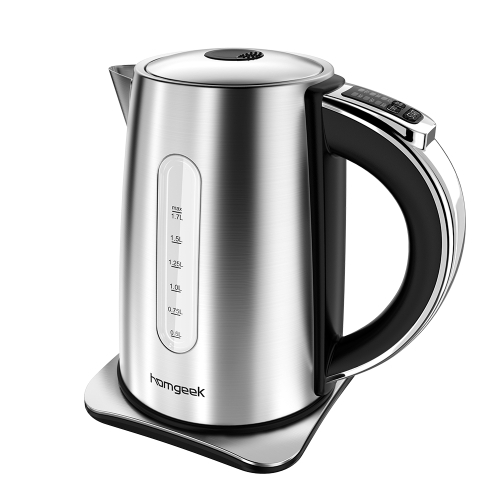 Keep Warm Function: keep the water warm at the desired temperature(40-95°C). Automatic Switch Off: the kettle will shut off automatically when water boils, and make a loud beep to remind you. 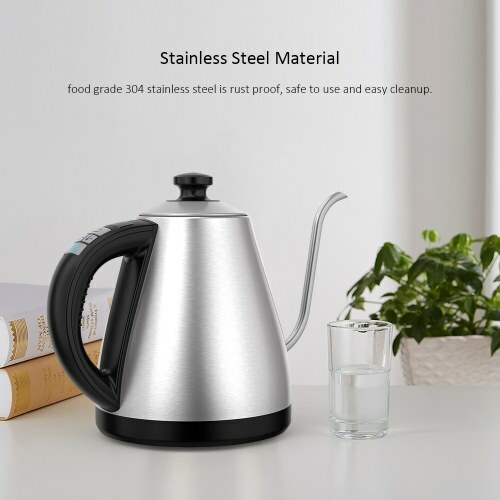 Stainless Steel Material: food grade 304 stainless steel is rust proof, safe to use and easy cleanup. 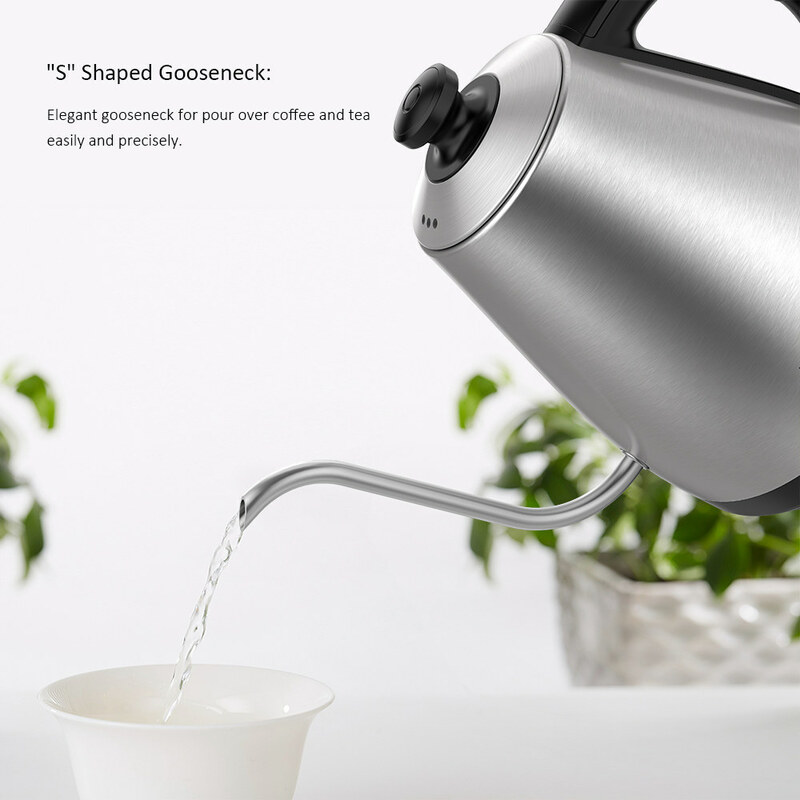 "S" Shaped Gooseneck: Elegant gooseneck for pour-over coffee and tea easily and precisely. LED Screen: 1" black LED screen with blue temperature display. 1.2L capacity elegantly shaped electric kettle.